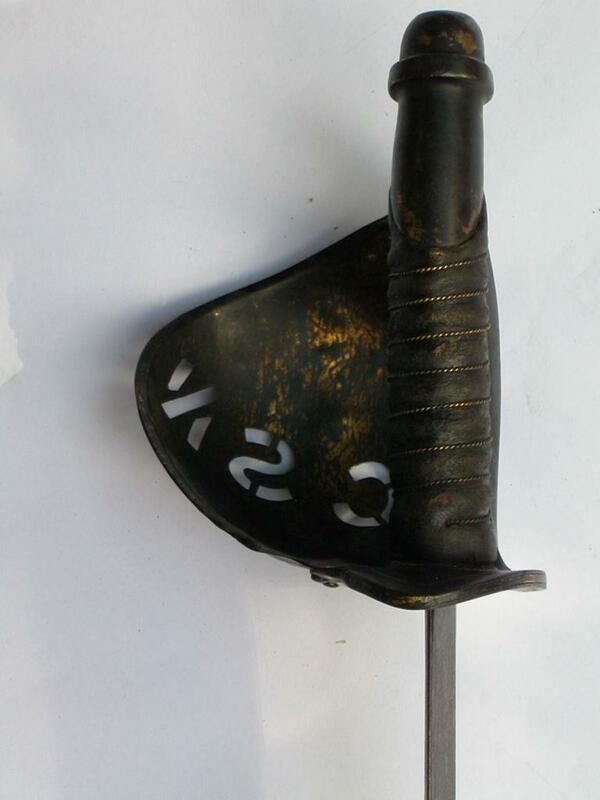 These are all examples of FAKE Confederate Naval Cutlass with a brass basket guard. 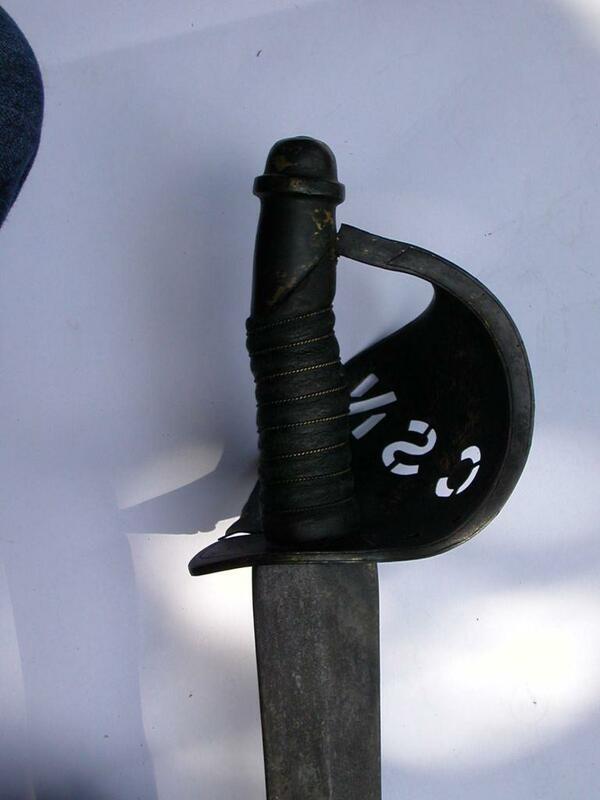 FAKE - COOK NEW ORLEANS NAVAL CUTLASS: This is a very old fake Confederate Naval Cutlass. 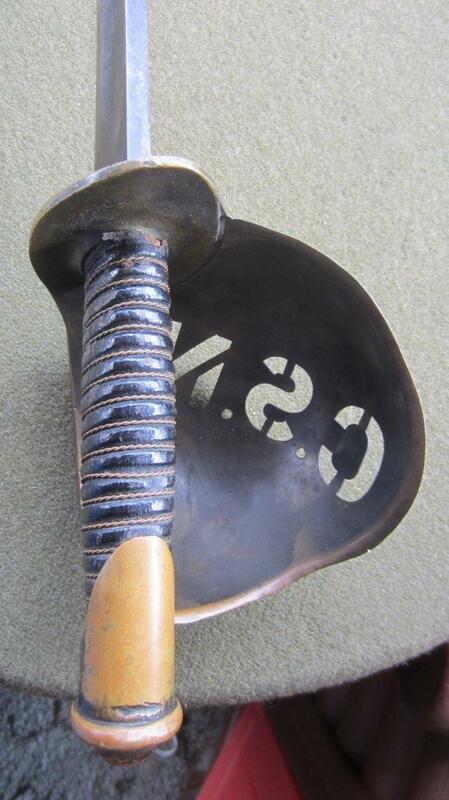 21-1/2” blade marked, “Cook & Co. / N.O.”. 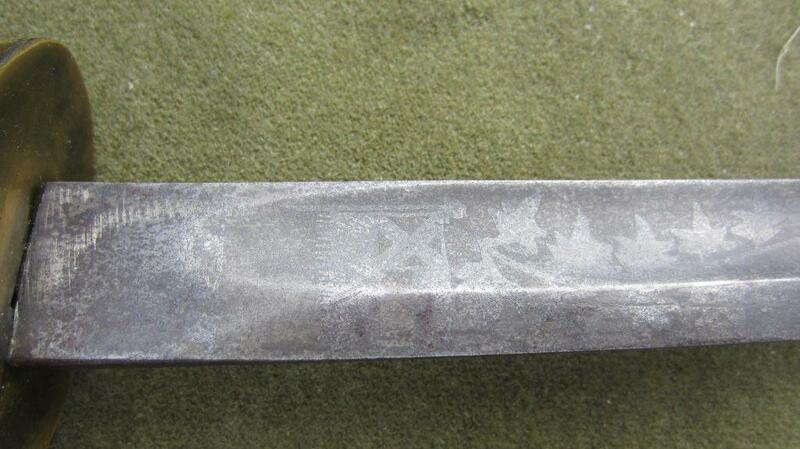 Sword consists of a riveted 1860 style U.S. cup with Roman numeral “XXVII” cut into bottom. 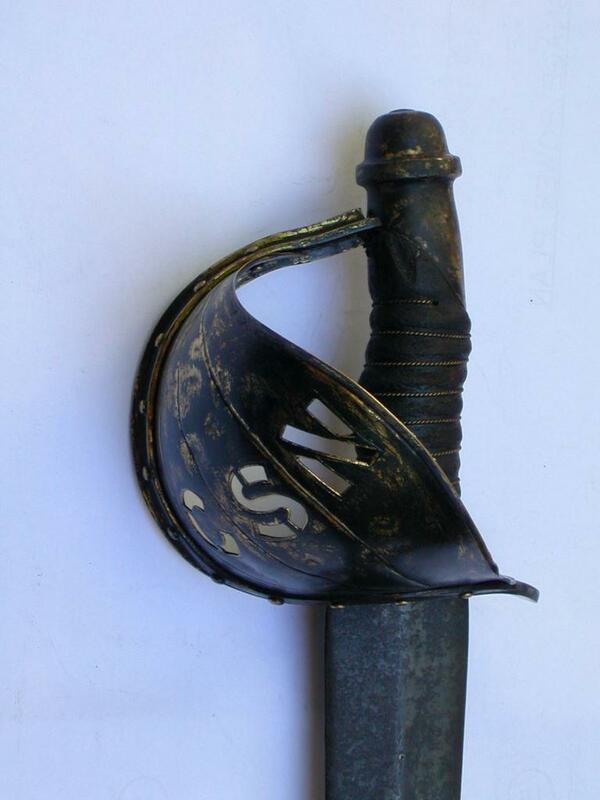 It has a leather grip with twisted brass wire with two brass ferrules, and a star appears on one brass ferrule. These are often passed off as real, but are not. 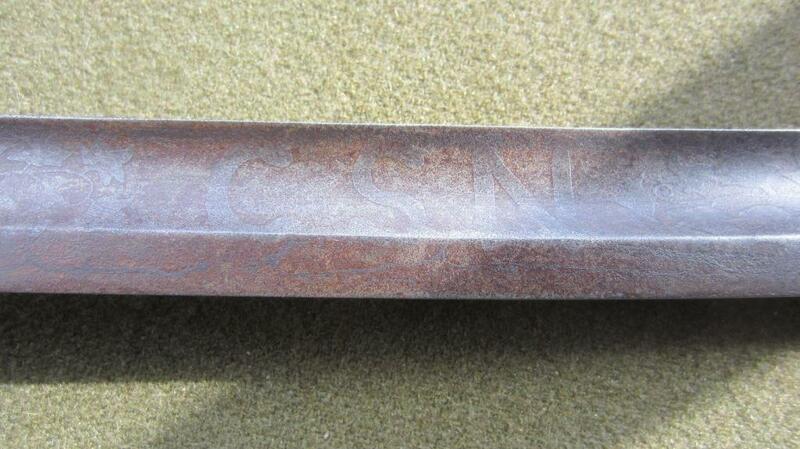 FAKE - CSN NAVAL CUTLASS: This is another Fake made to deceive people in believing it is Confederate, it is not. 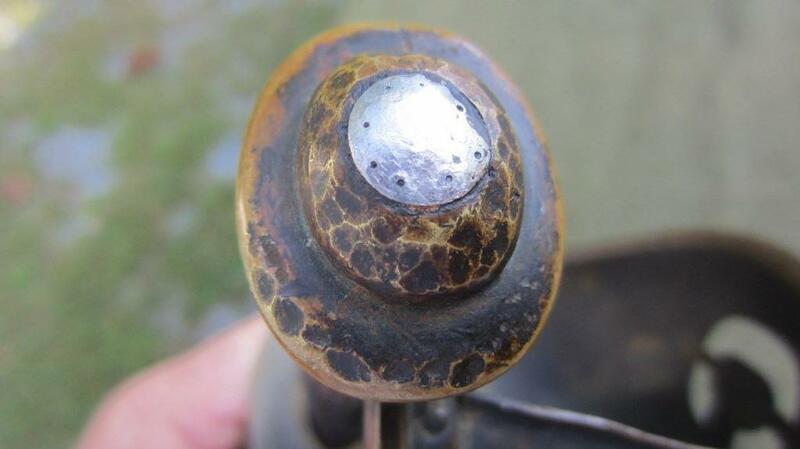 Look at the pommel cap and grip and you can see it is cheaply made. 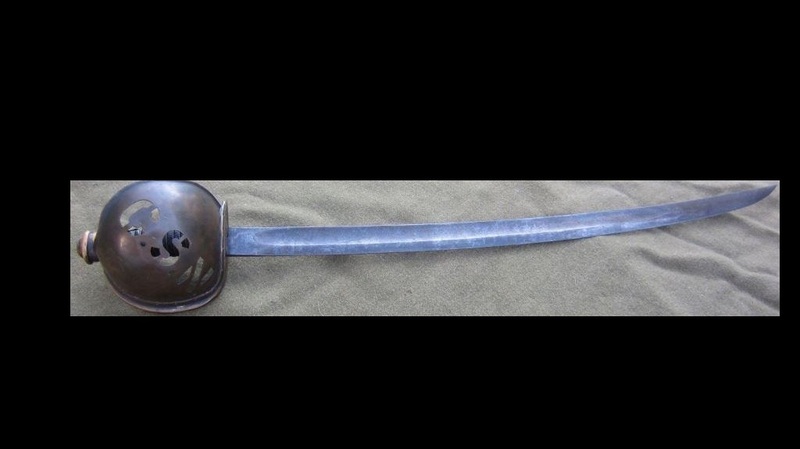 The blade is wrong and to date I have never seen an authentic Confederate cutlass with the cut out C S N in the basket. 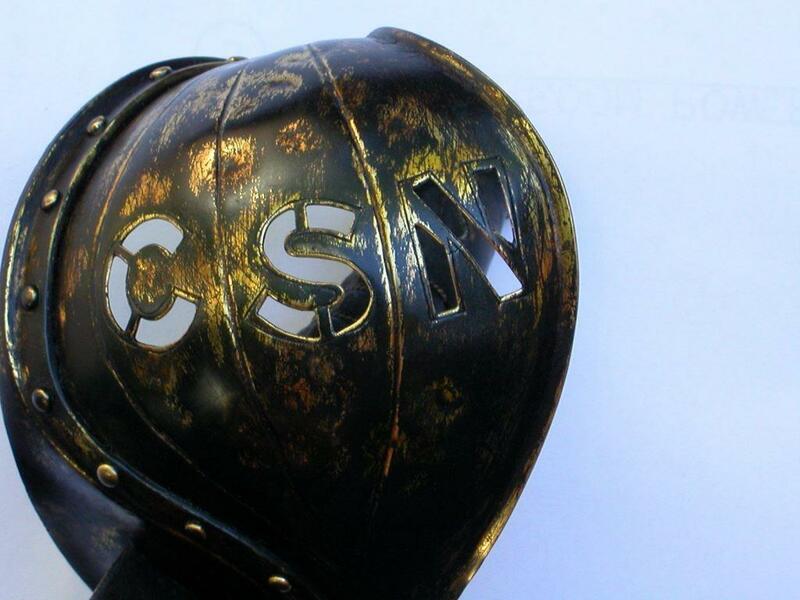 You will often see these for sale on a popular auction wed site. 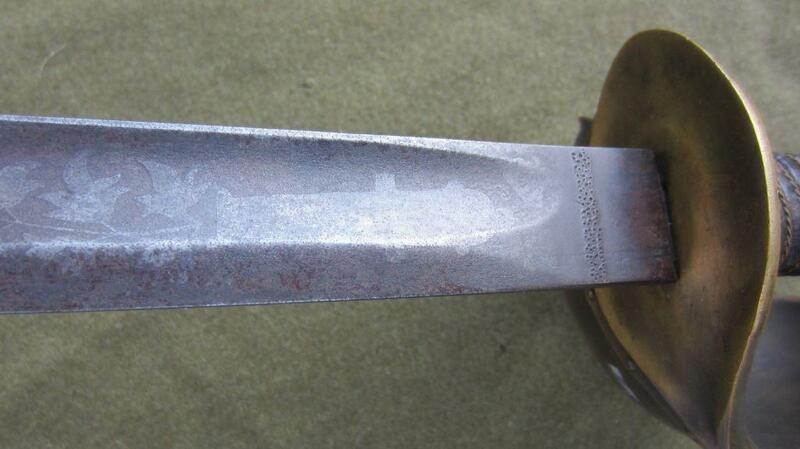 FAKE - CONFEDERATE NAVAL CUTLASS: This is another FAKE Confederate cutlass. 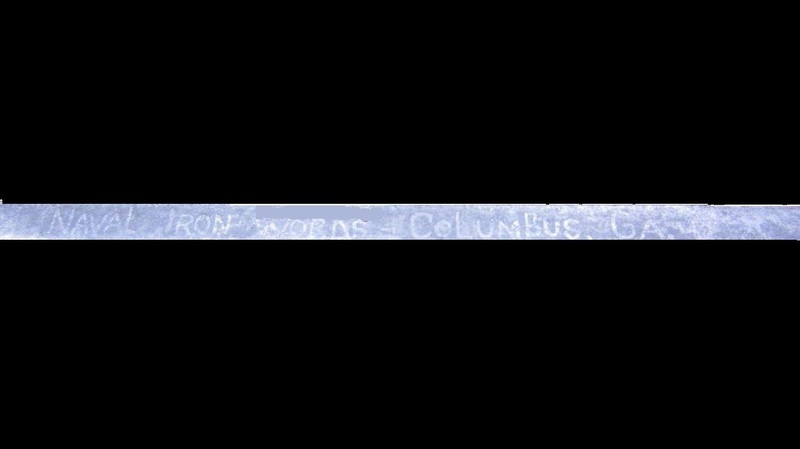 It is a fantasy sword because they never existed. 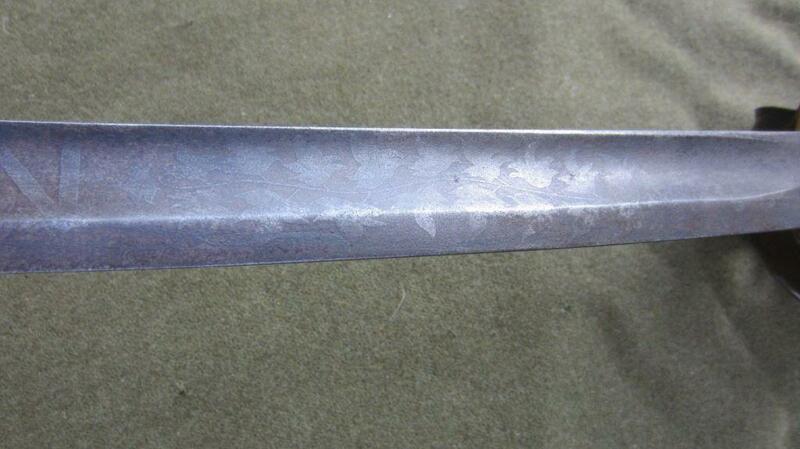 The etching looks nice, but it is fake. 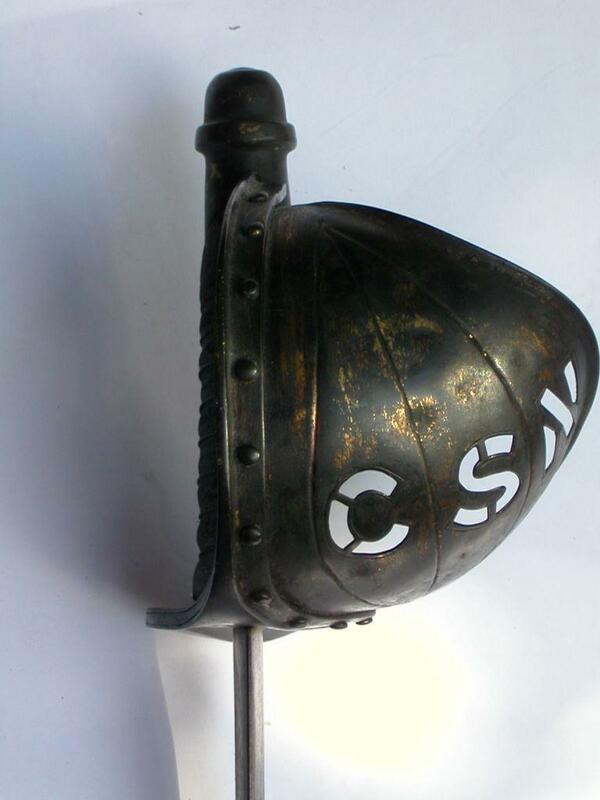 The Naval Iron Works never produced such a product. Again, this is a web site auction item designed to deceive.